It has been quite awhile since we last looked at the Top 10 Amazon.com Civil War bestsellers list. In fact, you have to go all the way back to the May 2009 Amazon.com Top 10 Civil War bestsellers list. I’ve enjoyed keeping an eye on this list to see how books move over time, and the Amazon.com Top 10 Civil War Books list has become an every other monthly feature at TOCWOC – A Civil War Blog. Readers who are looking for books many people are currently reading and commenting on can’t go wrong selecting books from this list. As in each entry in the series, I’ve taken the liberty of removing non-Civil War related books from the list. The books below are in the Civil War Top 10 as of October 22, 2009. As of this list, I am recombining Lincoln books with other Civil War books. The hoopla surrounding the bicentennial of Lincoln’s birth has ebbed a bit, so a recombination makes sense. Usually, numbers in parentheses mark the book’s prior position in the Top 10 from the last time I did the list. We will be completely starting over this time, however. Note: Some of these are the Kindle edition. 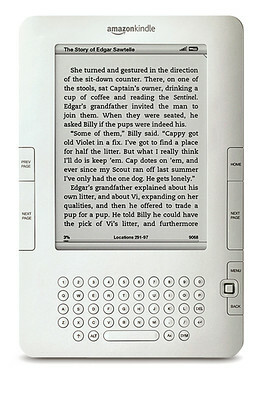 Kindle is Amazon’s handheld device for reading books electronically. Since last time, Amazon has come out with Kindle 2, a sleeker version which also allows you to upload many public domain books for minimal or no cost! Summary: Goodwin covers the “team” Abraham Lincoln put together to form his cabinet. Dimitri would dispute the validity of the term “team”. Since I started looking at this list of bestsellers, Team of Rivals has no rivals at the top of the Civil War book pile. Summary: Keegan is widely regarded as a master military historian. I especially enjoyed his classic “you are there” approach to military history in The Face of Battle. It will be interesting to see how Keegan’s one volume history of the Civil War stacks up against the others in this field. Summary: Although obscure when initially written in the 1970s, Michael Shaara’s fictional account of Gettysburg has been a bestseller pretty much since the movie GETTYSBURG was released in 1993. Surprisingly, The Killer Angels has dropped completely out of the top 10, something I didn’t initially think was possible. It’s interesting to see the month to month movement in this list. It isn’t nearly as static as I had originally thought. Summary: This has been the standard one volume history of the Civil War since its release. McPherson’s book has been largely in the bottom half of the top 10. Given its widespread use and acclaim, I’m still a little surprised it isn’t consistently in the top 3. I’m pretty sure it will not be that high in the foreseeable future. Summary: Faust argues that 1860s America’s familiarity with death led to massive casualty rates, acceptable by those standards but appalling when looked at through today’s lens. 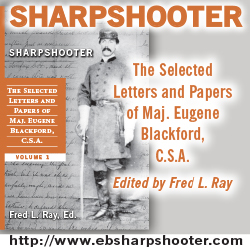 This book has been one of the most reviewed Civil War books I’ve seen over the past 3 or so years since I started blogging. The book continues to rise and fall in the middle of the pack each time I take a look at these rankings. Summary: The autobiography of one of the most famous Abolitionists ever. I have not yet had the pleasure of reading this one. Douglass’ book is the first on this list which focuses mainly on slavery and the life of slaves to remain near the top of the bestseller list. So much for harping on readers’ complete ignorance concerning the great racial elephant in the room, or what some corners of the Civil War blogosphere would call the ONLY reason to even study the conflict. Summary: This is another McPherson summary. Many other Civil War bloggers have already commented on the lack of any new insights or groundbreaking material in this book. Summary: The State of Jones is the second book in a short while to come out about Newt Knight and Jones County, Mississippi. Victoria Bynum’s was the first. There has been some controversy between the authors of this book and Professor Bynum, especially about whether or not Jones County seceded from the Confederacy during the Civil War. My advice would be to purchase both books and make up your own mind based on what the authors have written. Check out the controversy AFTER you’ve read the books. This feature will return next time. I apologize for not keeping this particular feature going more regularly over the summer. Now that the weather is growing colder expect to see these lists every other month or once a month if I’m ambitious. Keep in mind that “bestselling” definitely does not always mean “best”. Instead, this is a glimpse into what is popular among Amazon’s admittedly large customer base. In any event, whether you are new to the study of the Civil War or an experienced veteran, check out the Amazon.com Top 10 Civil War Books List and see if there is something there for you. Brett: In connection with your mention that some of these top sellers were Kindle editions: I suspect both the Jacobs and Douglass books got pretty good boosts from their Kindle prices — 99 cents each. That’s a good thing, in my opinion. I’m also hoping to see a reasonably priced Kindle edition of Keegan’s book. (Doesn’t have to be 99 cents, tho.) I browsed it a little at B&N, and it looks really good. And remind me next time to take that stupid extra “The” out of my commenting name.